It's that time of year again. Head down to the Riverfront Park this weekend and enjoy some great music and food. Check out their website and let us know your favorite part of the Bite. Definitely not the website. Finding a list of food and drink vendors ought to be easy! So all the information is there - except the "bite and brew" part! A real "so-lame" moment, alas. Very disappointing. I can get a foster farms pre- frozen corn dog anywhere and for less than three dollars! What happened to great food, great variety, & a festive atmosphere. Didn't happen. Certainly doesn't create inspiration for nextyear. I won't be attending. the concept of a food and beer festival is so appealing. I was hoping this was going to be better than Bite's past (pizza hut anyone?). Hopefully it wasn't all frozen corn dogs. It seemed to me that attendance was way down yesterday. Someone had told me Mt Angel Sausage Co. would be there. I was up for a Brat, but they were not to be found. I ended up with a Smoked German Sausage from The Wooden Nickel. It was OK, but it took a protracted struggle to determine it its casing or I was the tougher. The new Santiam Brewing Co. was present. I tried one of their IPAs which was good. They seem like nice folks. Missed seeing the Eatsalem booth this year. Also, if I recall correctly, the "suggested donation" went up a buck this year. the Rotary focused on the brews and music? Provide the bites, but by focusing on the brews take the pressure off the food offerings. The events are supposed--in my mind anyway--to feature the local eateries (and that CAN include chains, but they should not be ALL you have) and those attending should be offering sample sized portions of their offerings at a low low price to encourage people to try something new. The more creative chefs will have on offer not only sample sized offerings of their regular menu, but also something exciting, fun and different. The event I'm most familiar with was of the type that the restauranteurs wanted to break even, not profit; the value was in connecting with the community, exposing potential new customers to their offerings, and strutting their stuff. If I want music, there's a ton of places to go get it. If I want a beer there's plenty of places to go get it (and plenty of other festivals, too). If I want to go out to eat and pay full price for entree sized offerings, I know where to do that, too. What I want is a place that encourages trying something new and different, getting to talk to the purveyors, and mingle with the community. Given the people I've talked to who tried one or two "Bites of Salem" and vowed never to go back, I'm not the only one. Like me, those people would be hard pressed to go again, unless it was clear the event was relaunched as something totally different. In reply to Lavachick: I have always thought that would be a good event - lots of samples of lots of different restaurants, but in reality it is really hard to get vendors to come out. I know from experience that participating in these events as a vendor is a ton of work setting up a booth, hauling equipment, setting up a wash station, figuring out how to keep things cold in the hot sun, keeping everything sanitized..etc. Controlling bugs. You have to been there early to set up and stay late to break down. Ourdoor food sales is challenging. There are folks who do a lot of these and they already have mobile equipment stations so that makes it easier. You can make good money, but often not. Give up a valuable summer weekend, it is hard to swallow not making a lot of money. The biggest issue I have with events at Riverfront park as an attendee, is that is just isn't really designed for events. Parking is a bear. Front street is actually an extension of HWY 99, and it scares the life out of me having kids anywhere near (crossing front street is very stressful with kids). There are very few trees for shade, so you can get baked in the sun. They put up fences and block the view of the river. I'd love to see a cool event with lots of good food and lots of new beers. I think the convention center would be a better venue. The costs might be too high though. I know this is a food blog, but it's nice to see someone talk about Front Street from what looks like the perspective of a car driver. Certainly for people on foot and on bike Front is a huge barrier between downtown and the park. But the park also doesn't function very well for people driving cars. This is a great example of the way that our auto-centric street system has indirect quality-of-life consequences on other kinds of events, even those that are still largely car-dependent. SBB, I can't remember the details, but I liked what the U of O students had to say about finding a way to eliminate such busy thoroughfares running through a downtown area. A few weeks ago, I was making a bread stop at Cascade Baking Co and thought how that end of State (despite the last plan I heard about removing that park crossing) could be a welcoming entry to Riverfront. The sidewalks could be wider, the street narrower, inviting people to sit, walk, shop. The downstairs of Marjorie Furlong's studio would be a great spot for another local shop. I'd much rather walk around downtown from one of the parking garages than circle repeatedly around the blocks burning gas. I used to wish Salem's event was more like Portland's, but now I think we need to find our own traditions. Something that better suits Salem's size, attributes and capabilities. The World Beat Festival shows it's possible. How extremely disappointing. 4 eateries, 2 smoothly stands, and beer does not reflect the food choices in Salem. It felt like I was eating at a carnival. Someone definitely dropped the ball here. The only saving grace was the music, it certainly was not the overpriced food. 1. A controlled enviroment (indoors). I know it's beautiful out, but hot summer days are not good for restaurant operation (bugs, heat, refrigeration..). 2. Large venue with lots of parking - face it, this is a commuter town. If I am going to come out and blow an entire summer weekend selling food, I need to be sure that I will make a lot of money. I know someone above said that it could be a good marketing tool, and that could be partially true, but I'd rather hire someone to work facebook and myspace than lose a summer weekend and lose money. 3. Good entertainment. The bands have been ok, but the experience hasn't been great. War? Any band that has a Time Life collection sold on late night TV is pretty good, but not super interesting. 4. Set up to minimize the effort of the vendors. Meaning, tables/booths set up with power run to them, wash stations. This is a huge headache for these events for restaurants that don't do a lot of these type events. 5. Be selective in who you allow to sell food. In years past I've seen corn dogs and pizza hut. Yuck. I don't want to compete against these place, nor do I want the restaurant that I have invested my life into building to be associated with low quality fair food. All these comments are super-great and helpful! Thanks to everyone for posting your rants or raves - they really do help craft a better event for the whole community. Rest assured we've heard you- loud and clear: This event is more about the brews and the music than the food. Since we don't produce the food ourselves, we get what we can get, and they are all subject to availability and their own quality controls. I'm a volunteer helping out -- there are no paid staff for this event, which has new owners as of 2012. But I want you to know that I've bookmarked this page and will check back for other helpful feedback. 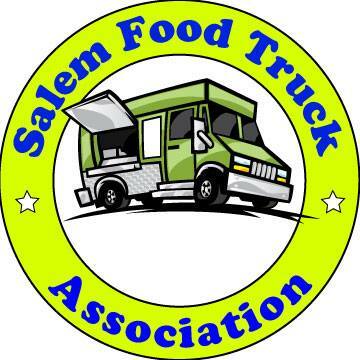 And thanks to the EatSalem Blog for supporting a community event and hosting this page!